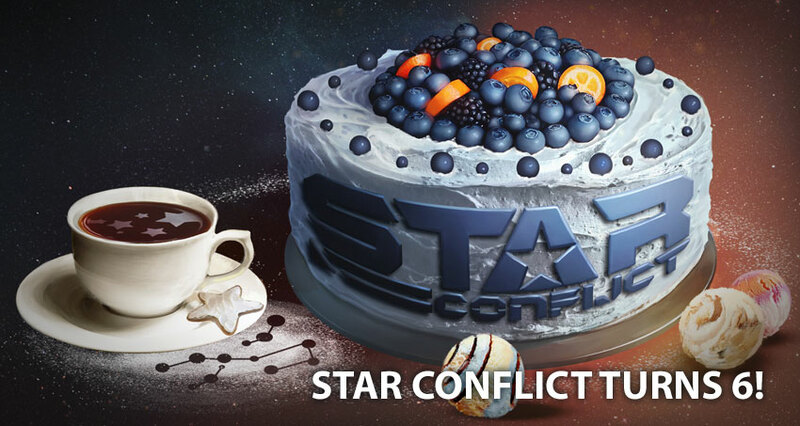 On February 1st Star Conflict universe turns 6 years old, and we are immensely happy to celebrate the anniversary with you! These are also the days when the video game developer Targem Games, whose branches include Star Conflict developers Star Gem Inc., celebrates its 16th anniversary. We wish the company new heights and new games! The festive coloring scheme is once again available to all players. Unique stickers in honor of the 16th anniversary of ‘Targem Games’, developer of the game ‘Star Conflict’. The stickers will be available for a limited time!